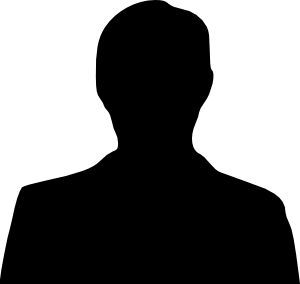 Leroy Comrie To Run Against Malcolm Smith? The race for Malcolm Smith‘s senate seat is heating up. Despite his federal corruption charges, Smith has defiantly declared his run along with attorneys Munir Avery and Clyde Vanel, but there’s still talk of one more candidate entering the race. 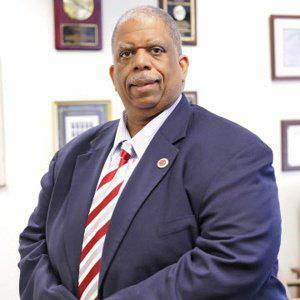 Perhaps one of the most credible democrats from south Queens is Leroy Comrie, a former City Councilman now serving as Deputy Borough President under Melinda Katz. According to inside sources, Comrie is being urged to make a run by Queens Democrats. Do they smell blood? Absolutely, Smith is weak. Is it a long shot? Maybe. Can it be done? Certainly. Comrie has more than ample name recognition, the ability to raise money, plus he’s a skilled campaigner and an experienced statesman, so it wouldn’t be a huge surprise to see him restore integrity in the wake of Malcolm Smith’s political scandals, or to see why people would want him to do it. Surely, the deputy borough president is a cushy gig with a nice salary, an office with a view of the remains of a beautiful fountain, even a driver – but this may not be the dream job of a skilled lawmaker. Leroy Comrie, will you run again? Tony is one of the few Republicans not involved in the mess going on with the local and national GOP, he’s a pragmatist and a grassroots campaigner. From The Queens Courier: Aurelio “Tony” Arcabascio, Republican candidate for Borough President, said he has been painted as a Republican “one percenter” throughout his campaign. “I drive a Honda, my parents are immigrants. Who is this one percent you’re talking about,” he asked. Arcabascio, a project manager for North Shore-LIJ Health System, will face off against Melinda Katz on Tuesday, November 5. Over the months leading up to the general election, Arcabascio has been going to community board meetings, civic meetings and more. “You have to talk to people. You have to let them know who you are and that you’re not just a name on the ballot,” he said. Although he does not have political experience, he said his small business background, healthcare work, management experience and knowledge of his would-be constituents create a recipe for success. 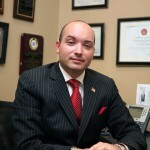 Arcabascio talked to The Courier about many current, pressing issues in the borough. Regarding education, he said he is against co-locations, not a fan of charter schools and an advocate for building new schools. School and neighborhood safety were also a concern. Arcabascio mentioned P.S. 232 in Lindenwood, and said speed bumps need to be put in around the school’s busy area. See you all when I run again. Tony Avella drops bid for Borough Prez leaving Peter Vallone Jr. and Melinda Katz locked in a heated primary. Avella cited his continued work against hydrofracking and preserving women’s rights as issues he intended to pursue in his current seat as State Senator. Avella’s entry into the race was widely speculated to detract from Peter Vallone Jr.’s base of support which led to some heated rhetoric and barbs traded between the two outspoken candidates. Certainly Avella’s exit from the race makes Peter Vallone winner of the week, and urban lobbyist Paul Graziano - who’s candidacy depended on Avella’s stumping for him as loser of the week. 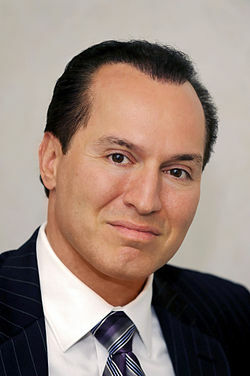 Also on the losing side, Steve Behar who was rumored to run for Avella’s Senate seat should he have won the primary. 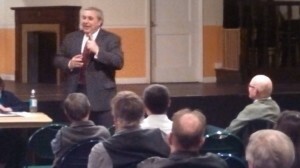 The winner of the Primary will go head to head with GOP candidate Tony Arcabascio. Peter Vallone Jr. is by far the best choice. As Councilman, many of his bills which have become law have had a positive effect on the lives of all Queens residents – all 2.25 million of us. With the Primary election just a few weeks away, we’re asking all of our readers to cast their ballot for Peter Vallone for Queens Borough President. While many critics can argue against the need of a Borough President, it is the position of this blog that the office of Borough President will lead Queens into the future, if elected into the right hands. While every candidate has his or her detractors, Vallone has generally impressed during the 11 years he represented the 22nd District on the City Council. He’s been a constant advocate against cuts to law enforcement and first responders thus making sure that all of us are safe at home. And he’s been a vocal proponent making sure Queens receives it’s fair share of resources from Albany and Washington. Most recently he’s secured funding to help rebuild the shattered Rockaways. But that’s just the tip of the iceberg. We could post for days trying to cover his legislative accomplishments, but everyone in the political world knows anyone can be “electable” –if they are able to target and pull those out who will support that specific candidate. It’s a double-edged sword. Indeed, a less qualified candidate has a shot at winning using the formula: target, target, target & pull. In closed primary elections, it’s the attentive elite which decide the outcome. A majority of the electorate will not return to the polls until 2016 (to vote for Hillary Clinton, or Governor Chris Christie for example) so in the meantime (in ballpark average) 10% of an ED will turn out, making your vote absolutely critical – much more so than any Presidential election (just ask some of the Council candidates that lost by one or two votes this year). We believe the importance here is for you, the voter, to make an informed and independent decision and encourage your neighbors to do the same. Surely, we’re preaching to the choir but that’s the value of our endorsement: encouraging independent decisions. Our goal, when we’re not too much on our high horse, is to inform and influence your thinking, and encourage a course of action we believe is for the betterment of Queens. Long term, the city faces deep and serious financial problems which won’t bode well for us. To counter this our next Borough President must find avenues for growth. And from the perspective of city government, this involves reaching out and generating confidence in what Borough Hall does. Peter Vallone has this ability. The other candidates are short on skills, solutions or both. Tony Avella and Melinda Katz lack a clear vision for how they’d transform their ambitions for Queens into reality. Now we choose the candidates we support with great care. After all, if we’re giving them our endorsement, we want to be very sure that we support candidates who have the strongest potential to be champions for Queens. 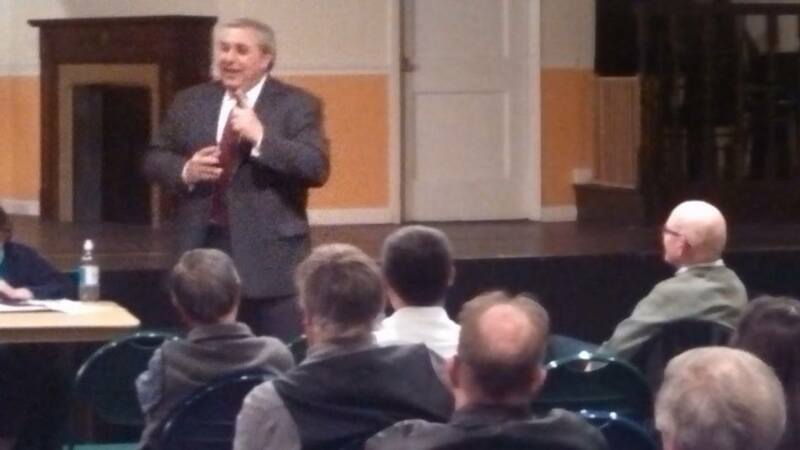 With that being said, our choice is clear, it’s Peter Vallone; he’s sharp as a tack and loud as an air horn. He’s got the experience, skills, and ideas that best match the challenges ahead. We’re asking all Democrats on September 10th to bring a friend, a neighbor, or family member and cast a ballot for our future, for our next Borough President, Peter Vallone. 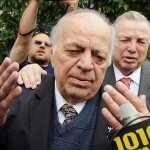 Bogus endorsement prompts response from Vallone campaign. A union misled by Katz. This afternoon Melinda Katz celebrated an endorsement by the Uniformed Firefighters Association, but what many people may not have realized was that in fact, her opponent, Councilman Peter Vallone Jr. has been supporting first responders for longer than any of Melinda Katz’s exaggerated campaign rhetoric would lead you to believe. In response, the Vallone campaign fired back issuing the following statement to set the record straight. “Council Member Vallone respects our Firefighters and is proud to have worked with them to stop firehouse closings, and he knows that their members will remember who stood with them for the last 12 years. As a former Prosecutor and as Public Safety Chair, Council Member Vallone has spent a lifetime protecting the people of Queens. While he is proud that he has many more public safety union endorsements than Melinda Katz, he doesn’t need to create the illusion of experience protecting Queens residents – his is real,” said Andrew Moesel, spokesperson for the Vallone campaign. And there you have it folks, a union negligent of the facts. With field offices opening across Queens, the Vallone campaign has certainly got a leg up when it comes to experienced campaigners leading to a serious brain-drain for his chief rival, Melinda Katz. While Council campaigns gear up across the city, and only a finite number of people who actually know what they are doing, the Vallone campaign attracted and hired the best and most experienced field organizers, media moguls and political people this city has to offer. Certainly with stakes this high, no candidate would want their neighbor’s grandson spearheading their operation. But none of this may matter in the long run because it’s an excellent field operation and GOTV initiative that will win the office of Borough President. As of now it looks like Vallone has the competitive advantage. Full Disclosure: As you know, this blog has been an avid supporter of Peter Vallone Jr. so you can take this with a grain of salt or not. In the Assembly, she served as chairwoman of the subcommittee on urban health and fought against the privatization of public hospitals, she said. She was also responsible for a bill increasing penalties for domestic abuse. Later, she went to work for Shulman, the borough president at the time, as a director of community boards, attending meetings around the borough and keeping the president informed about communities’ concerns. 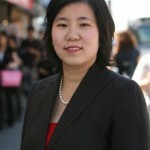 In 2002, she was elected to the New York City Council. As chairwoman of the land-use committee, she negotiated various down zonings in Queens and supported new developments, including Willets Point and Hunters Point. Her tenure on the City Council won her a recent endorsement from former Mayor Ed Koch. Katz “is the one candidate in the race that raises the level of conversation about balancing economic development with the community in Queens,” Koch said in a statement. After she lost the Democratic primary for New York City comptroller in 2009, Katz went to work for a law firm, Greenberg Traurig, specializing in land-use issues and government relations. Deputy Borough President under Shulman, promoted overdevelopment and eminent domain for private interests while chair of land use for the City Council, endorsement from Koch, and most recently worked for a lobbying firm. I can’t think of anyone more qualified to be borough president. Can you? It’s not even 2013 yet, but the heat is on in a wide open race where anyone could win. At the time of this post, 5 candidates have declared (or all but declared) including City Councilmembers Peter Vallone (expected to formally announce this Tuesday) and Leroy Comrie, State Senators Tony Avella and Jose Peralta, and Lobbyist Melinda Katz. Campaign war chests are growing, however not everyone has filed. Many theories and possible scenarios are floating among political circles, but we say with confidence that real party insiders tend to chuckle at our speculation. Point is, this time there are too many variables in this race for any predictions worth consideration, so let’s look at some elements in the race we can verify. While it might be crass, (and reduce all us voters to mindless drones incapable of formulating an opinion based on issues) if we look at this race through the assumption that people tend to vote along ethnic lines, then the largest voting bloc in Queens i.e.the Rockaways and Jamaica will vote for City Councilman Leroy Comrie. And he’ll stand a good chance if he ran raise the money. Speaking of cash, City Councilman Peter Vallone so far has the largest war chest and he has the name recognition in Western Queens, but that’s not all. Peter has a lot of support in Howard Beach, Ozone Park, and Breezy Point, which has gone unnoticed in the press. An interesting scenario would be to see Peter endorse Leroy as his Deputy Borough President (party nomination notwithstanding), but that’s a story for another time. 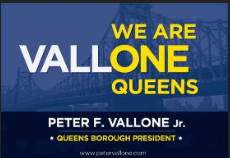 In the northeast section of Queens, there will be two Vallone’s on the ballot as Paul (Peter’s brother) will be running for City Council in the 19th District. No one can agree if this is beneficial or not so we’ll just have to wait and see. I think one element to examine will be the layout of the ballot to predict if it will help or not. What we do know is that Peter Vallone is very popular in the Western and Southwest portions of Queens with a large pocket of support in the Northeast thanks to Paul’s activism and visibility in the community. This could give him the edge above the rest. Everyone’s wondering who will Joe Crowley pick. The Party nod might go to Senator Jose Peralta and thus Labor support will also go with him. Also the very large, very active Democratic Clubs in Elmhurst and Jackson Heights will surely be on the ground campaigning for Peralta and should not be underestimated. Senator Avella on the other hand, who once ran for Mayor will not likely receive the Party nod, but he has experience and borough wide name recognition. It is possible Tony Avella could split Peter Vallone’s base of support and vice versa. We can’t ignore Melinda Katz as a serious contender. She is popular in Forest Hills and is so far the only Jewish candidate in the race. And she has Curtis Silwa by her side. I wonder if this will help or not. But what we do know is that she will likely corner the Jewish vote, which tend to come out and vote in primary elections. Let’s not forget Deputy Borough President Barry Grodenchik which throws another curveball to this election. At the end of the day, we really can’t predict where this will go. There’s too many variables. However if we open the books of campaign strategy, this primary, like all primaries boils down to a pull operation. With the vote being tugged five different ways, a candidate’s win number is reduced, which could be advantageous in some cases. In any case, the office of Borough President is what you make of it. The Beep is like a County Executive and it’s a coveted job. Some say the office should be abolished, but we say use it to make Queens a better place. As the steward of our county to lead us into an uncertain future, the BP should be like a magnate for attracting new industries and businesses. The ideal BP will play a vital role in economic development. Slightly more than cutting ribbons, the office should be playing an active role in job creation. The office is also a bully pulpit for the aspiring candidate. Some candidates will use it as a springboard for higher office, and the advisory role in the many facets of Borough governance gives the outspoken candidate the platform they so desire. The advocacy element is particularly beneficial when Queens needs a mouthpiece to compete with the other Borough Presidents clamoring for the same resources. But to fully understand the purpose of the office you have to understand the powers granted by the NYC Charter, which are explained as follows. Transcripts of all public hearings held. Ok, that was a lesson adapted from grad school. I keep referring back to it because most people can’t explain what the Borough President actually does. On that note, I wonder if all the candidates will appear on TV for a live debate and if they do, if asked, will they be able to outline the charter granted powers of the Borough President? There’s a lot more to it then meets the eye. Anyway, this post is not all encompassing. There’s plenty of angles to examine on this race and surely the cannons of scrutiny will signal which direction it takes. Feel free to share your thoughts with us. Steve Behar to succeed Senator Avella? Civic leader Steve Behar may have an opening to run for State Senate. As the race for Borough President heats up with more prospective candidates testing the waters, one stellar civic leader anxiously awaits an opening to represent New York’s 11th Senate District should the right pieces fall into place. 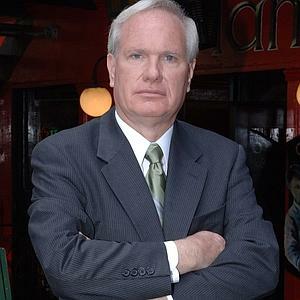 It is widely rumored incumbent Senator Tony Avella will be throwing his hat in the ring for Borough President. Should Avella become the next Beep, a special election will be held where community advocate Steve Behar will have a chance to take his place in Albany. Behar, a progressive reformer who ran unsuccessfully for City Council and State Assembly, has been quietly building a coalition of community and civic leaders, which are already expressing encouragement. In what will be a hotly contested race pitting Avella against other campaign heavyweights like City Councilman Peter Vallone and Leroy Comrie, Lobbyist Melinda Katz, and Senator Jose Peralta, despite the strong opposition Avella is said to be mulling a chance to stand out from the crowd to gain a foothold in boro-wide politics for another shot at Mayor in 2017.
in the meantime, Behar, a member of Community Board 11, has been busy honing his campaign skills delivering victory after victory for the Democratic Party. Recently he served as field director for Nassau County Legislator Carrie Solages, campaign manager for Senator-elect James Sanders, as well as spearheading the legal team for Congresswoman-elect Grace Meng. Should the pieces fall into place, a special election will likely take place in February to fill the vacancy. 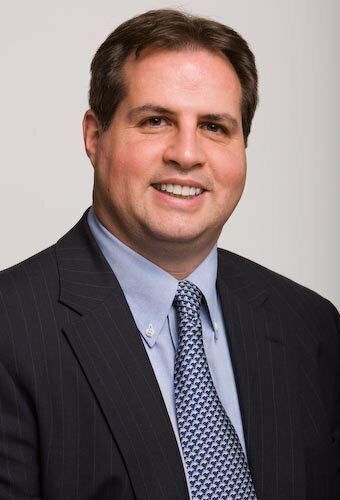 The County organization will have the choice to endorse Behar in the special or risk losing his large base (who will likely stay home in protest) and give rise to Senator Halloran – a frightening prospect for the Democratic County organization considering Republican Senator Frank Padavan represented the district for over 30 years. 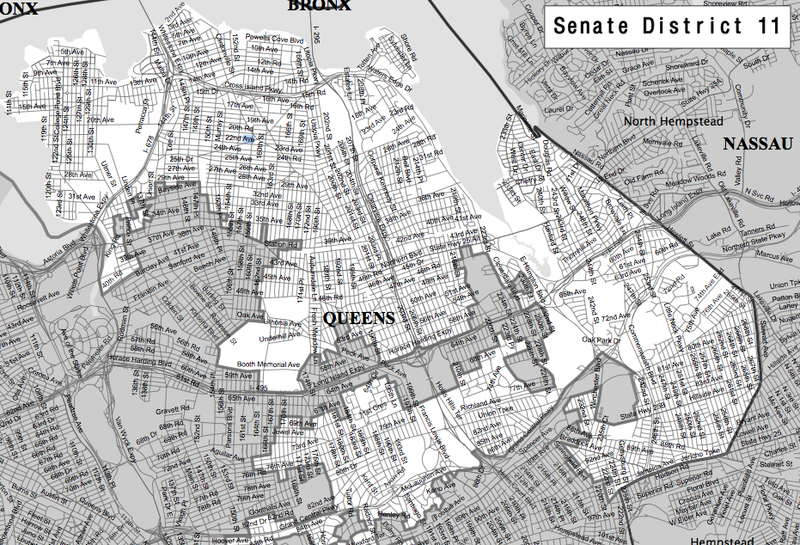 Senate District 11 encompasses a huge section of Queens where Behar has strong name recognition. A Clue To County’s Endorsement For Beep? Brooklyn has the cannoli man, Queens has the kingmaker. Melinda Katz is holding a fundraiser at Portofino restaurant in Queens where a high ranking democratic official will make a special appearance. With the 2013 City Council races already heating up, many are wondering who will get the coveted County Endorsement and it just so happens that none other than political boss Rep. Joe Crowley will be the surprise guest at the fundraiser. Will Crowley make a surprise endorsement? Katz, a lobbyist, will be locked in a tough battle for control of Borough Hall with heavyweight opponents including City Councilman Peter Vallone, widely considered the frontrunner, Councilman Leroy Comrie, and State Senator Jose Peralta. Both Peralta and Comrie have considerable ties to the party, so at this point the County endorsement is really a toss up. Even though Crowley will be attending more fundraisers, as reported by Colin Cambell, we will venture to guess the the real clue is which fundraiser he doesn’t attend. George Arzt, the top former campaign advisor for John Liu, has also confirmed attendance. Below is the invitation in case you decide to go and if you do, please send us video or audio. Please join us as we kick off Melinda Katz’s campaign for Queens Borough President! 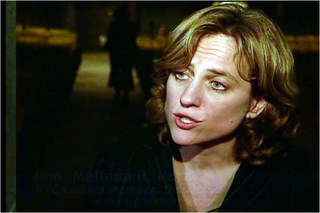 For more information please contact Katie at (347) 494-0492 or send her an email at Katie@melindakatz.com.